Increase the performance of your Kymco 4T scooter with this simple and easy to install upgrade by 101 Octane Scooter Parts. 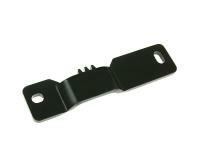 Variator locking tool for 4-stroke Kymco engines. 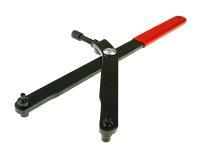 With this tool, the pulley is locked against rotation. This allows you to loosen or tighten all components associated with the crankshaft, such as variator or alternator components. Racing Planet USA carries the full range of Kymco parts for scooters including the full range of 101 Octane. These 101 Octane are high quality Kymco parts and accessories. One of our top recommended brand for replacement accessories. You can buy with confidence for 101 Octane is one of the best parts brands we offer.